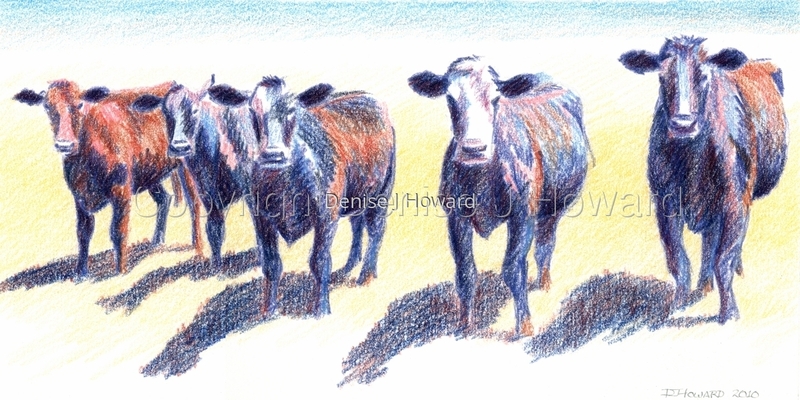 After I completed "The Jury", there was something about those cows that made me want to do them again in unexpected colors and a loose, sketch-like technique. It's quite unlike my usual style but just for fun. 7"x14", colored pencil on illustration board.